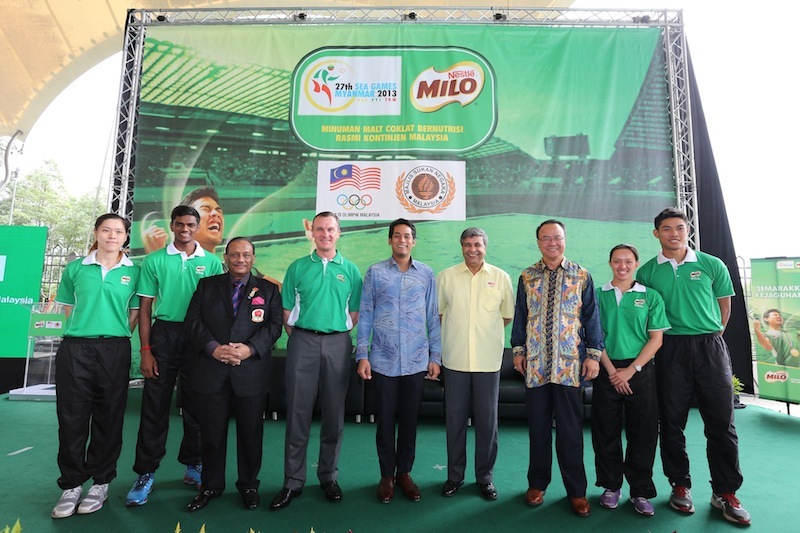 I was at the launch of the Milo 'Fuel for Champions' campaign last Thursday at National Aquatic Centre. 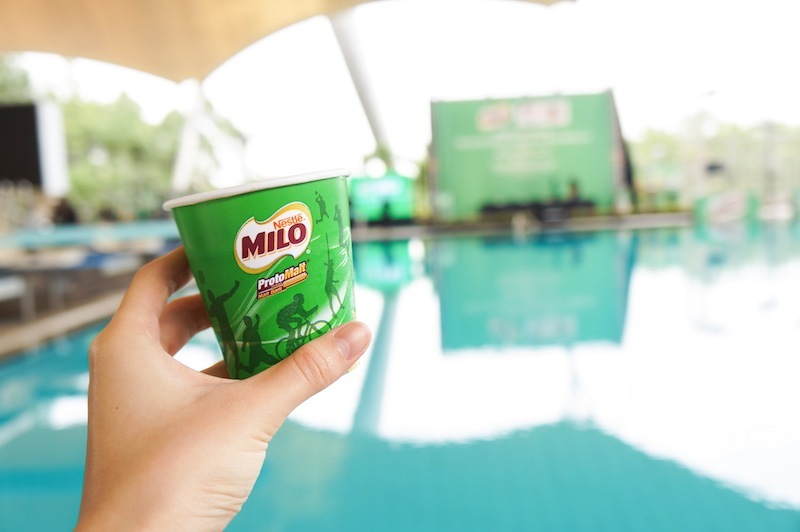 This was my first time attending MILO (Nestle) event and looking to the free flow milo. I don't know why I was so happy to get free milo, probably it recalled those time I was excitedly waiting for my milo from the milo truck when I was in primary school. I've Cheesie with me during the event and also meet, Vanda (from Nestle). MILO 'Fuel for Champions' campaign is more than just a one-time sponsorship, it aims to empower and energize young sport talents to strive for success in the early stages of their lives as well as to inspire parents to encourage their children to participate in sports from young. The launch is officiated by YB Encik Khairy Jamaluddin, Minister of Youth and Sports Malaysia. Here's a group pictures of Malaysian young athletes and the VIPs. From the left to right, Yong Shin Min (basketball), S. Kannathasan (relay run), Dato’ Wira Amiruddin Embi, Chef de Mission of the Malaysia SEA Games Contingent, Mr Alois Hofbauer, Region Head of Nestle Malaysia and Singapore, YB Encik Khairy Jamaluddin, Minister of Youth and Sports, RAdm (Rear Admiral) Dato’ Pahlawan Danyal Balagopal Abdullah, Vice President of Olympic Council of Malaysia, Dato’ Seri Zolkples Embong, Director General of National Sports Council, Khoo Cai Lin (swimming), Muhammad Hakimi Ismail (triple jump). For more information about this leading nutritious chocolate malt beverage, do visit www.milo.com.my.